From candidate to hiring professional and everyone in between – they can and must be treated with the utmost respect & care using the right platform and process. Larkspur, CA (PRWEB) November 4, 2011 – Accolo, innovator of Accolo Elevated RPO®, received the onrec Excellence in Recruiting Ethics Award November 1st during THE RECRUITING CONFERENCE held at the InterContinental Chicago-O’Hare. “This award truly validates one of Accolo’s core beliefs. 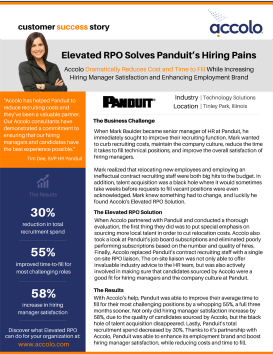 That the key stakeholders in the recruiting process – from candidate to hiring professional and everyone in between – can and must be treated with the utmost respect & care using the right platform and process,” beamed John Younger, President and CEO of Accolo upon receiving the achievement. According to Mr. 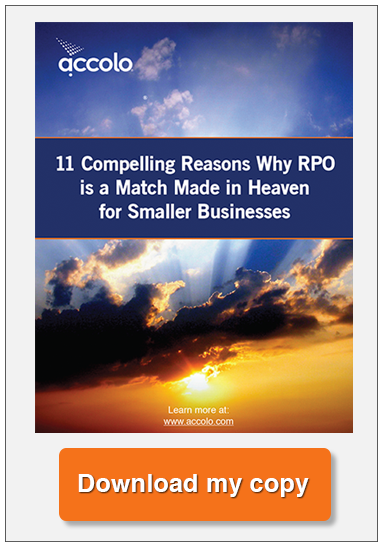 Younger, The Accolo Elevated RPO® Platform was built upon ten universal hiring best practices, including that the process be courteous, respectful and confidential. In addition, the platform automates EEO Compliance reporting, ensuring legally ethical protocol in the eyes of the government. The national awards highlight some of the best recruiting efforts by corporate recruitment departments, recruitment advertising/creative agencies on behalf of clients operating in any industry sector, or private or public companies. A division of the Tarsus Group – an international B2B media company creating industry-leading events, publications and online media since 1998 – Onrec.com is the world’s leading information resource for Human Resource and Recruiting professionals, and is the accompanying website to Online Recruitment Magazine, which takes an in-depth look into recruitment and industry suppliers – helping corporate recruiters, recruitment agencies, and suppliers find the best resources available through a range of media and services. A growing portfolio supported by Tarsus Ventures, features educational and networking products in the talent management, HR and recruiting sector including; TalentManagementTech.com, RetentionInstitute.com, TheRecruitingConference.com, RecruitingTrends.com, and Onrec.com. THE RECRUITING CONFERENCE is a global summit designed to stimulate beneficial partnerships, discussions, and debate among sourcers, recruiters, HR professionals, and other members of the recruiting industry. The vision of THE RECRUITING CONFERENCE is global and local, as the conference serves as The Hub for the Recruiting Industry – a place where professionals gather and benefit from a high-level exchange of information and ideas. THE RECRUITING CONFERENCE was formed in response to the need of a single venue that synthesizes the interests and goals of the industry in a way that is productive, challenging, customized, and state of the art – to set a new standard of excellence within the industry. The mission is to provide a world-class venue and the necessary support for global and local thought leaders, recruitment professionals, and sourcing experts to share relevant knowledge for maximum value and high results. Focusing on trends, technologies, best practices, and human resource strategies that lead to successful recruitment, retention, and talent management, THE RECRUITING CONFERENCE aims to energize, engage, and inspire. What Does Recruiting Cost You When You Aren’t Hiring?